Some manufacturers are turning to business process management (BPM) software to optimize plant floor management. Find out how BPM software can be used to smooth the replacement of aging legacy systems, process plant data, and enhance workflow. Business process management (BPM) is rapidly emerging as a staple in the front office -- a discipline and technology toolset used to optimize common workflows, particularly workflows for document sharing. Yet the practice is still relatively nascent on the plant floor, where disparate (often homegrown) legacy systems and a requirement for real-time data capture and analysis hinder widespread BPM adoption. BPM is viewed as a systematic approach to improving an organization's business processes -- on the manufacturing floor, in the supply chain or in the product development area. BPM tools can be best-of-breed, standalone applications or integrated parts of broader enterprise software platforms. They enable employees closest to the business -- the plant floor manager or procurement specialist, for example -- to visually map out processes that previously could not be easily connected or automated, because they either spanned different functional areas, required data feeds from siloed business systems or demanded integration between separate business entities or even multiple plants. As enabling technologies like service-oriented architecture (SOA) and Web services set the stage for more flexible, more modular component applications, some of the technical challenges that have impeded BPM on the plant floor are finally being addressed. As a result, BPM is gaining recognition as a plant floor management asset, while aging manufacturing execution systems (MES) are being retired and replaced with manufacturing operations management (MOM) systems. These MOM systems take a broader view of how plant floor operations relate to other key aspects of the business. "Plant floor systems have traditionally been disparate, siloed, homegrown systems not managed at an IT level," said Matthew Littlefield, senior research analyst of manufacturing for Aberdeen Group. "As folks adopt newer systems on the plant floor and collaborate with IT to deploy those systems, they will be using BPM tools to create workflow automation across different applications. That's a change from when there was a gap between the design part of the manufacturing process and the make part of the manufacturing [process]." Closing that gap and drawing the plant floor closer into mainstream business operations has several benefits for manufacturers. By eliminating manual processes, manufacturers stand not only to reduce costs but to optimize their product development departments for more successful product introductions, more closely link supply to demand, and improve on-time delivery and quality of products. "Eighty percent of plants today use paper or have manual operations that could be digitized," notes Greg Millinger, product general manager for Proficy Workflow, a new industrial BPM engine from GE Fanuc, tuned specifically for plant floor operations. A hold-up to implementing BPM on the plant floor has been the inability to field real-time data from machinery and low-level PLCs (programmable logic controllers), along with the absence of an exception management process for addressing all the different state changes that occur regularly in the plant. With such a system, a particular event -- a line routing problem, for example -- would be flagged as an exception, triggering a new process that would correct the problem. The BPM engine serves as the orchestration tool to synchronize the processes across multiple systems. "The challenge with applying BPM at the plant is that plant-level data is a much higher-fidelity set of services," explained Simon Jacobson, an analyst at AMR Research Inc. "But what the BPM piece can do in manufacturing is help bind together processes and procedures between systems that are fragmented, all with their own data models and workflows within." For one manufacturer of large industrial equipment, BPM is a key to moving from a push-style plant operation, where production is based on orders, to pull-style, which more accurately reflects market demand along with what's happening in other areas of the plant, the business and the supply chain, according to Paul Weintraub, the firm's global architect for manufacturing and supply chain. The company, which is scheduled to go live with Apriso's FlexNet MOM and BPM platform this August, is betting that the new system will aid in its efforts around lean manufacturing and Six Sigma quality initiatives, not to mention improved inventory accuracy and aiding in inventory reduction. The plant system, along with a companywide SAP ERP deployment, will also help standardize processes from a global standpoint -- no small task considering that the company has acquired many smaller manufacturers over the last 20 years. "In our environment, this would be incredibly difficult to do without a toolset like this," Weintraub said. "We could do it manually and go to great lengths to improve our processes, but it would be impossible to sustain that on a long-term basis without BPM." This idea of continuous improvement, particularly in terms of quality, is a focal point for many manufacturers' BPM plant floor efforts. Concert GmbH, a maker of non-woven airlaid fabric products, views BPM as the next logical step in its ongoing implementation of plant floor systems, according to Sergej Timakov, MES project manager for STI Technologies Ltd., the consulting company working on Concert's GE Fanuc Proficy implementation. Integrating BPM into the plant floor system will help establish the most efficient processes and ensure that operators follow them without making costly errors. "It's difficult to make sure that products are produced with the highest quality," Timakov said. "Exceptions always happen -- during a changeover, for instance, the wrong belt may be installed or the wrong raw material deployed or even the wrong product specification used. The consequence is damaged equipment or increased customer claims. To avoid this, a system [like BPM] that can catch such mistakes is necessary." 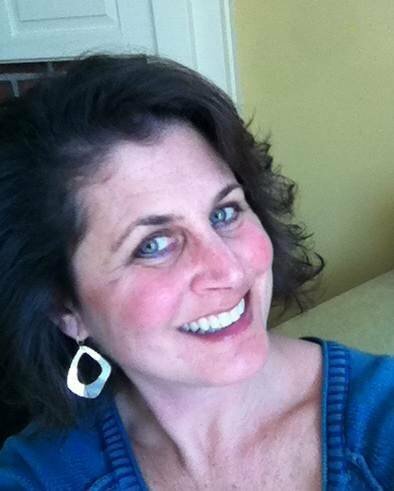 About the author: Beth Stackpole is a freelance writer who extensively covers technology for the manufacturing arena.